The latest announcements, special events, like our annual Big Bass Classic, and other news related to Elliott Electric Supply. You'll also find company awards, articles, customer stories, and other featured items listed in chronological order, the most recent listed first. April 13-14, 2019 – The 25th Annual Big Bass Classic Register Now! This year's date for our annual Big Bass Classic is official–the tournament will take place on the weekend of April 13-14, once again at Lake Fork. Mark your calendars and get registered before Friday, March 15, 2019 to avoid a late registration fee. Our regristration and vendor trade show event will take place on Saturday, April 13th from noon until 5pm at the Lake Fork marina. Then, the tournament will kick off at 6am on Sunday, April 14th, with weigh-in at 3pm. Registration is $150 per two-person team until March 15th. After the deadline, a $50 late fee will be required. For more details, including eligibility terms and rules, you can find the official registration form and more here. Let Elliott Electric Supply take care of your Fluke needs and you can ‘Outfit Your Crew’ with up to $3,000 in FREE Gifts. See details here. April 14-15, 2018 – The 24th Annual Big Bass Classic Register Now! It's already that time again! Time to mark your calendars and get registered for the 2018 Big Bass Classic. Our regristration and vendor trade show event will take place on Saturday, April 14th from noon until 5pm at the Lake Fork marina. Then, the tournament will kick off at 6am on Sunday, April 15th, with weigh-in at 3pm. Registration is $125 per two-person team until March 16, 2018. After the deadline, a $50 late fee will be required. For more details, including eligibility terms and rules, you can find the official registration form here. September 16-17, 2017 – THE 4TH ANNUAL BATTLE ON THE BORDER See the results! The 2017 Battle on the Border was great fun once again at Toledo Bend, launching from the Cypress Bend Park near Many, Lousisiana. Our registration event, with food, refreshments, and vendor booths, was from noon till 5pm on Saturday, Sept. 16th, the day before the tournament. Then, on Sunday, Sept. 17th, the tournament kicked off at 6:30am and ran through 3:00pm, at which time the weigh-in's began, with the award ceremony afterwards. To view phots and the results board, click the link below. Announcing our New Website, Electrical Slang! We are excited to announce that Electrical Slang is live, our new website that is a collection of electrician's slang terms like goose grease. The website is provided by Elliott Electric as a way to help those that need help with old terminology such as a wiggy, hotdog, or a turkey wing. 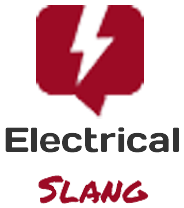 Electrical Slang's goal is to provide our customers a resource that can be used by anybody that needs help with industry terms in an easy to use website. Open Now in Atlanta, Georgia! We are excited to announce that Elliott Electric Supply will now be serving you at our first location in Atlanta, Georgia. 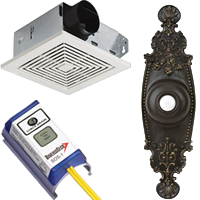 Our goal is to provide you with superior, personal service, a quality that we feel sets Elliott Electric Supply apart in the industry. We have 100,000 square feet of local inventory, so put us to the test—we are ready to earn your business! April 2, 2017 – THE 23RD ANNUAL Big Bass Classic See Who Won! Check out the results from this year's Big Bass Classic. See photos and the complete weigh-in list here. September 17-18, 2016 – THE 3RD ANNUAL BATTLE ON THE BORDER Get registered! 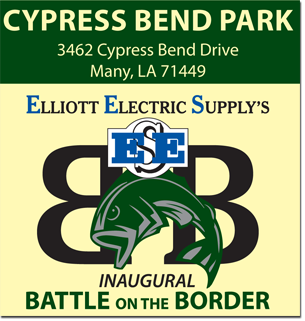 It's time to mark your calendars and get registered for the 2016 Battle on the Border, taking place on Toledo Bend at the Cypress Bend Park near Many, Lousisiana. Our registration event, with food, refreshments, and vendor booths, will be from noon till 5pm on Saturday, Sept. 17th, the day before the tournament. Then, on Sunday, Sept. 18th, the tournament will take place from 6:30am through 3:00pm, at which time the weigh-in's will begin, with the award ceremony to follow. For the registration form, maps, and more, click the link below. April 17, 2016 – 22nd Annual BIG BASS CLASSIC See the winners! The 22nd Annual Big Bass Classic was another fantastic time at Lake Fork! Congratulations to Chris Hamilton and Jarred Thompson from Evatt Electric, Inc. They caught the biggest stringer for 2016, weighing in at 9.67 lbs. Meanwhile, Michael Whisenhunt and Jake Robertson from Temsco won the Big Bass category at 8.78 lbs. Our tournament registration festivities, held on the day before the event, included a special vendor tradeshow & tailgate reception, with plenty of good food and drinks. View 2016 Big Bass photos and winner rankings here! Monday, March 30, 2015 – Now Open in Kansas – Elliott Electric begins operations in Wichita, Kansas! We are excited to announce that, effective Monday, March 30, 2015, Elliott Electric Supply will now be serving you at the former Star Electric Supply location in Wichita, Kansas! Our goal in Kansas is to provide you with superior, personal service, a quality that we feel sets Elliott Electric Supply apart in the industry. September 19-20, 2015 – THE 2ND ANNUAL BATTLE ON THE BORDER See results & photos! Our second annual Battle on the Border saw a fantastic turn out, with some really nice bass caught! 2015's Battle on the Border at Toledo Bend took place on September 20, 2015 from 6:30am to 3pm at San Miguel Park, near Zwolle, Lousisiana. Our registration event, with food, refreshments, and vendor booths, was at noon on Saturday, Sept. 19th, the day before the tournament. To see photos of everything, as well as the official rankings within our 3 tournament categories, click the link below. April 19, 2015 – 21st Annual BIG BASS CLASSIC See the winners! The 21st Annual Big Bass Classic was a great one! This year's tournament was held on Sunday, April 19th at the Lake Fork Marina near Quitman, Texas. View 2015 Big Bass photos and winner rankings here! Our first-ever Battle on the Border at Toledo Bend was held on September 21, 2014 from 6am to 3pm at Cypress Bend near Many, Lousisiana. We've posted the tournament results and photos for your viewing enjoyment. Mark your calendar for the 20th Annual Big Bass Classic! This year's tournament will be held on Sunday, March 16, 2014 at the Lake Fork Marina near Quitman, Texas. Our tournament registration festivities on the day before the event—Saturday the 15th, from noon to 5:00 PM—will include a special vendor tradeshow & tailgate reception. We've posted the official entry form as well as the tournament rules, so you can get registered and ready.